Kyiv Mayor Vitaliy Klitschko says Kyiv should become first among AIDS-affected cities in the world to stop the epidemic by the end of 2017. "The main thing today is to ensure treatment of 90% of HIV-positive people in the city. Mass examination and an awareness campaign for its need will help more people learn their HIV status and start treatment on time," he said in the city of New York after discussions held as part of the international conference titled Fast-Track Cities: Ending The AIDS Epidemic. For the first time, Kyiv's authorities together with NGO members represented Kyiv at the international conference. 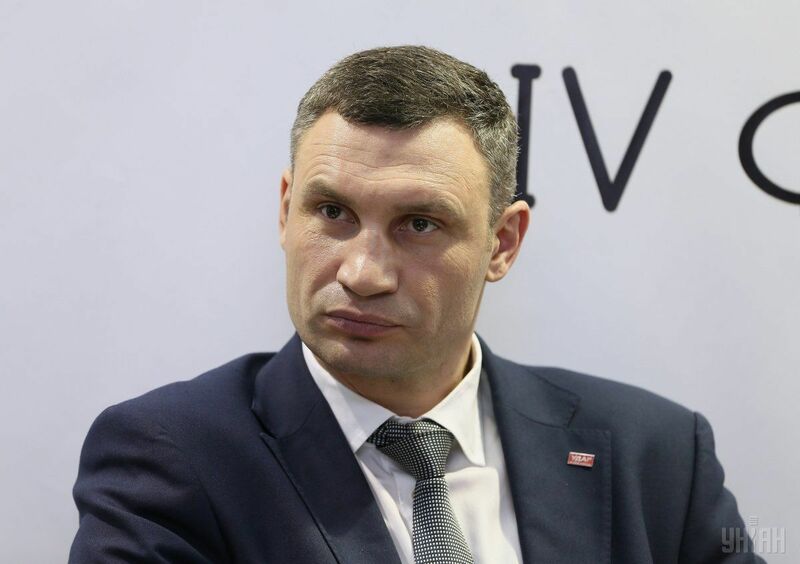 Read alsoKlitschko: Kyiv has potential to become global city of Eastern EuropeThe mayor says that around 3,000 people in Kyiv are diagnosed HIV every year, and 1,500 people are registered as HIV-positive for the first time. "Overall in 2015, more than 2,800 cases of HIV infection were found, but only 1,300 people enrolled for medical observation. That is less than half!" Klitschko stressed, according to his press service. He says that AIDS is not just a problem of a certain country or a city. It is a threat and challenge to the whole world. "A quarter of all HIV-positive people live in 200 big cities. And Kyiv is one of them, the global AIDS can be stopped by joining forces," the mayor noted. That is why on April 6, 2016, Kyiv signed the Paris Declaration on Fast-Track Cities. "This way we've joined the Fast-Track program to end the AIDS. I am sure that this is an important step to end AIDS throughout Ukraine. As chairman of the Ukrainians Cities Association, I propose engaging other cities of our country in the program," he said. Read alsoTurkmenistan to require HIV test for marriage licenseDuring the conference, the Kyiv mayor met with U.S. Global AIDS Coordinator Deborah Birx. He thanked for the decision to allocate another $1.6 million under the PEPFAR program for Kyiv. "It will be sufficient support to improve service for the HIV-positive people," Klitschko said. PEPFAR is the U.S. governmental initiative to address the global HIV/AIDS epidemic. It was launched in 2001 by U.S. President George W. Bush. Since then, the U.S. government allocates billions of U.S. dollars for tackling AIDS in 33 countries. Ukraine is one of the priorities. In the next five years, the U.S. government is going to provide $15 billion in funding. Ukraine will additionally receive $9.4 million, the city of Kyiv will be given $1.6 of the amount. The total funding for Ukraine for next year under the PEPFAR initiative will be $30 million (since October 2016). Before the initiative, Kyiv was funded through international donors, but now the funds will be directly sent to the Ukrainian capital.